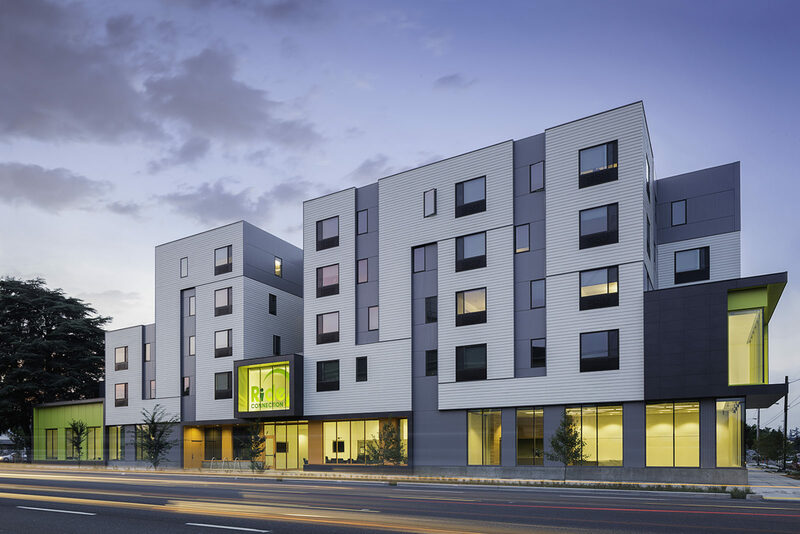 Glisan / Gilman Commons is a two-phase mixed-use development that is a partnership between Human Solutions, Ride Connection, and REACH Community Development. 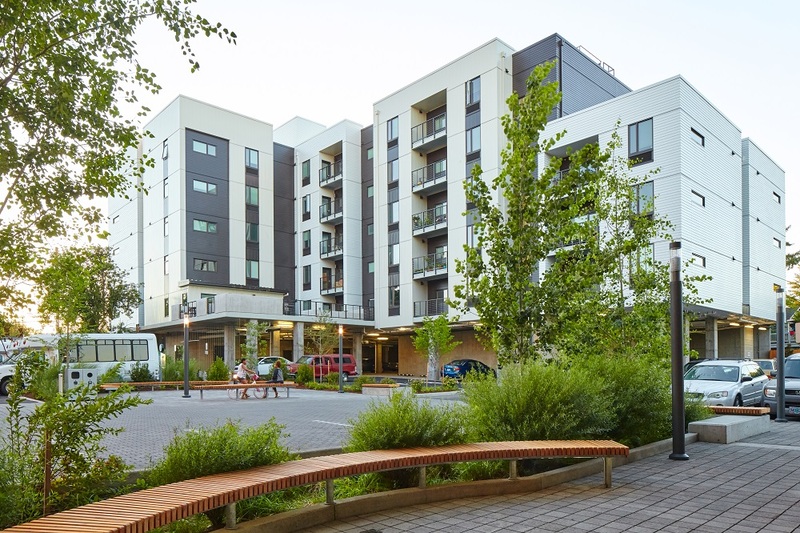 The project is steps from East Portland’s Gateway Transit Center and combines a 15,000 sf operations center for nonprofit transit-services agency Ride Connection with 127 units of affordable housing for transit-dependent low-income seniors and working families. 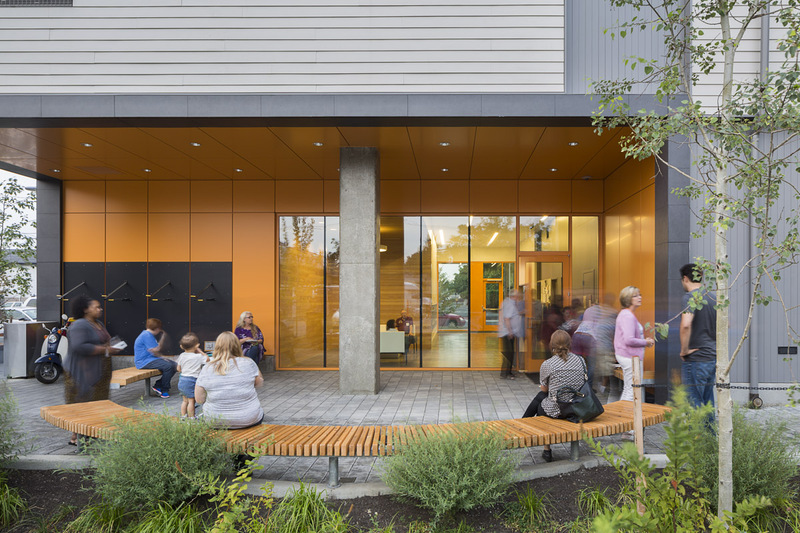 Lando and Associates, along with Humber Design Group (Civil) maintained a seamless LEED Gold development that spanned two architects and 5-years of work. The project is anchored around a central parking area that converts into a continuous and curbless ‘Piazza’. The central shared outdoor spaces include an east-west pedestrian connection through the site. The project is surrounded by green streets, bio-swales and a speciality permeable paving for the central plaza. Additional seating areas, covered bike parking and intimate café settings round out the ground floor amenities while upper floors have a number of private vegetable planters and city view roof decks. © 2019 Lando and Associates, Landscape Architecture. All Rights Reserved.